Is a real-time strategy game that aims to refresh the classical RTS genre. 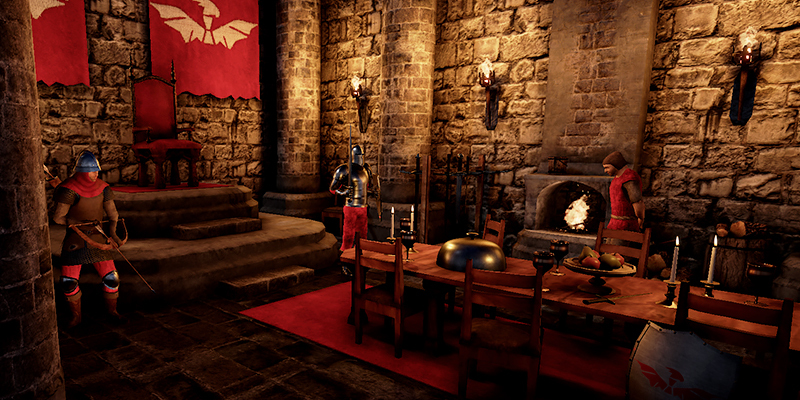 Bannermen takes you back to a time where power lies with the one who carries the sword. 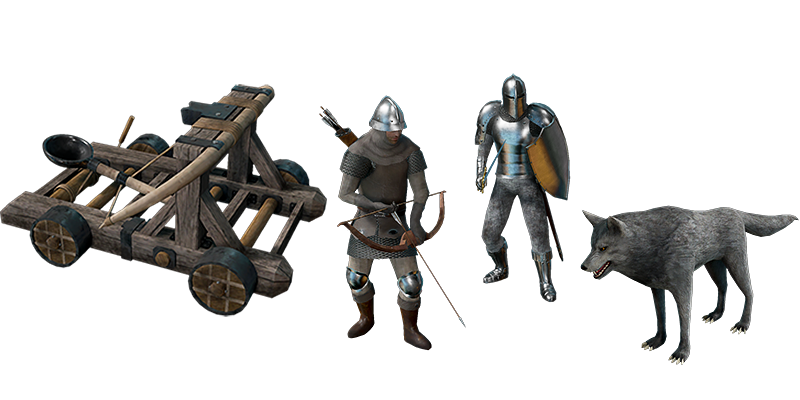 Test your abilities as a battle commander in this medieval semi-fantasy world. Prove your worth by conquering lands and make your banner strike fear into even the mightiest of enemies. Follow an abandoned lord who recently lost his land and nobility. The campaign constitutes a journey from the bottom to the top, where the goal is to make your lord retake his position as one of the mightiest in the realm. If you seek glory beyond our lands, there are plenty of other lords willing to take up your challenge. Join the ladder or play with your friends. Bannermen takes place in a vast kingdom where the climate varies. Therefore, the maps and the environment varies depending on where in the realm you are located. You will experience everything from wintry landscapes to green valleys and deserts. 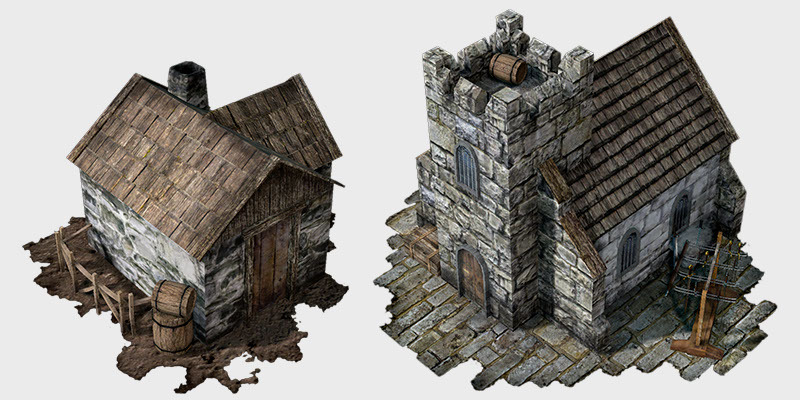 There are many different buildings, each fulfilling its special role in the game. 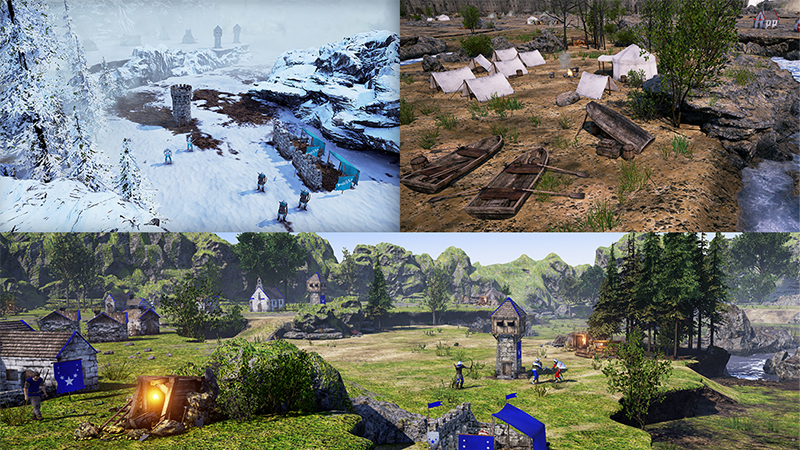 Use the buildings to train troops, research upgrades, improve your defense and much more. 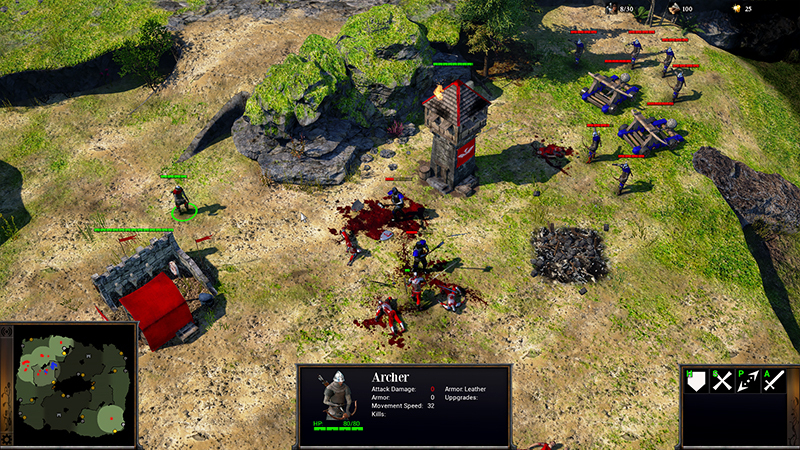 Bannermen contains various units - melee, range and spellcasters. Find powerful combinations and compose your army to counter your opponent.